My guys have been all over playing with our Nintendo Switch, even more than usual, thanks to our trip to Nintendo HQ in Redmond last week. The timing had worked out well too because I had gotten a few sample games in the mail the week before we left so they were loaded up on new games to try and play. Mario + Rabbids Kingdom Battle was definitely on the favorite on the plane on both flights. 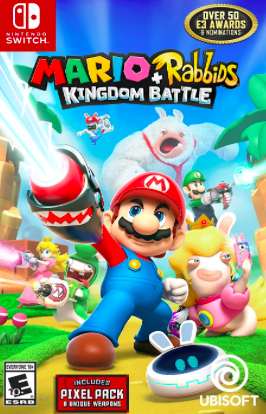 From Amazon,The Mushroom Kingdom has been torn apart by a mysterious vortex, transporting the chaotic Rabbids into this once-peaceful land. To restore order, Mario, Luigi, Princess Peach, and Yoshi must team up with a whole new crew: four Rabbids heroes! Together, they will battle with weapons through four worlds filled with combat, puzzles, and unpredictable enemies. Super Mario Odyssey just released and is arguably the hottest Switch game at the moment. It’s classic Mario fun. 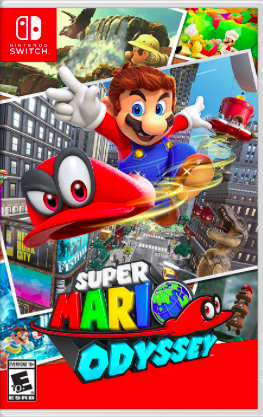 My kiddos like it because Mario can remove his hat (Cappy) and throw him at things and he then turns into those things he’s throw his hat at? It’s apparently all very exciting. 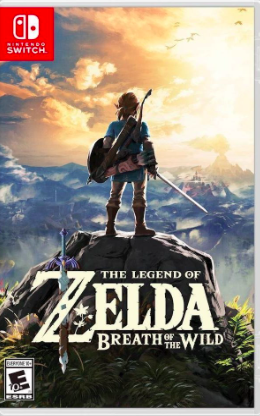 While they don’t play it much anymore (simply because they have done most of the game), I would be remiss if I didn’t mention Zelda’s Breath of the Wild. This was the first game we had and they played it for hours. If you’re new to the Switch this holiday season, this game is definitely a must have. Ahhhhmazing graphics and epic adventures in this game. And we don’t have but they want: Pokemon Pokken Tournament, Splatoon 2 and they desperately want Arms which someone will have to get for Christmas I’m sure. My kids LOVE the Pokmon game. 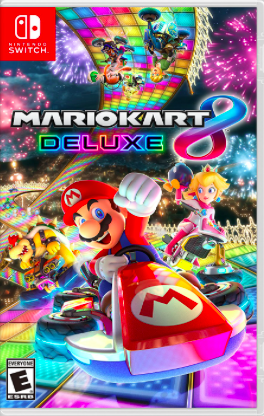 Just ordered MARIO Oddessey for xmas. Splatoon 2 is already a big hit. FYI toys r us had 15% off website purchases today includes video games.